One of the best things about this great nation of ours is that we don't like to be bored. Like, ever. But mostly, on road trips. Which is why we have all these bizarre roadside attractions that, in addition to entertaining us on long drives, also entertain the rest of the world by giving it something to laugh at us about. But let's be honest, sometimes you want more than a selfie in front of a giant ball of string. And since every state has at least one wonderful attraction that draws visitors from far and wide, we decided to find out what it was, based on a delicate balance of local pride, iconic drawing power, and whether or not it actually sounds like something you'd willingly travel to do. So here they are: 50 states, 50 attractions, and just a few minutes until you find yourself pricing flights on that site with the William Shatner commercials. 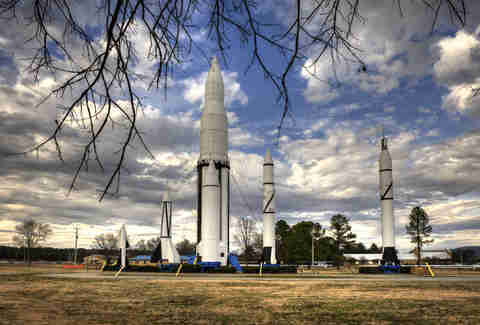 While Houston and Cape Canaveral grab all the glory for the US space program, Wernher von Braun and his gang actually developed all the equipment that sent Americans to space in tiny Huntsville, Alabama. Here you can see the largest collection of space hardware in the world, as well as Apollo 16 and the only fully stacked shuttle display, plus... SPACE CAMP! When you’ve got the highest point in North America, it’s hard to argue that cruise ship fjords are a better attraction. Denali -- or Mt. McKinley as you may know it -- is the centerpiece of this 6-million-acre national park, only a small percentage of which is accessible by car. Snow in August isn’t an unusual sight, nor is spotting a grizzly bear on your long, bumpy bus ride to one of its wilderness lodges. 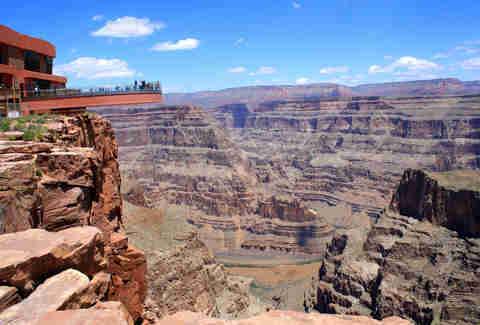 While some have argued that a visit to the Grand Canyon basically amounts to driving two hours through the desert, enjoying the canyon's beauty for five minutes, spending another five minutes there because you feel bad, then trying to figure out what to do with the rest of your day, the fact remains -- it's still one of the most awe-inspiring natural wonders in the world. Sure, the somewhat-sulphuric smell of bubbling pools of natural hot water can be occasionally noxious. So can a trip to one of Arkansas’ many Walmarts, but at least here you leave relaxed. America’s oldest national preserve and smallest national park was once home to a mighty row of bathhouses where rich and poor alike came to bathe and be healed by the springs' naturally hot waters. Only a few of the houses still remain, but a couple have been converted into a visitors center and art museum. No, they didn’t use exploding neck collars or place prisoners in some kind of parallel universe, but The Rock is right up there with most fictional prisons as a place you’d never want to end up. 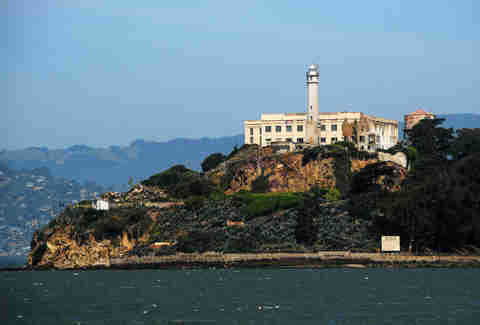 America’s fascination with the penal system is no more obvious than at this former federal penitentiary on an island in the middle of San Francisco Bay, where Al Capone once lived and 1.3 million people visit every year. If you’ve seen one legal marijuana dispensary, you’ve seen ‘em all. And since not everyone can ski, the best attraction in Colorado is hands down this live music venue outside Denver. 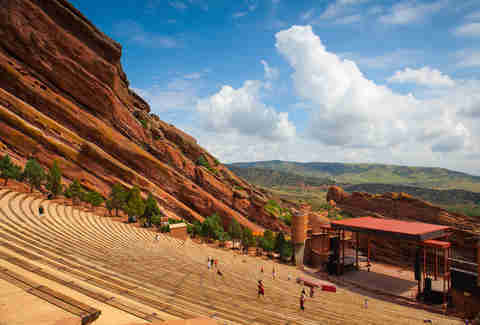 Not only does it have possibly the best acoustics of any venue IN THE WORLD, it offers sweeping views of the surrounding Fountain Formation, and is a must-play spot for any rockstar with aspirations of recording an album that ends with “live at Red Rocks." Yes, we are telling you the coolest thing to do in Connecticut is eat lunch. 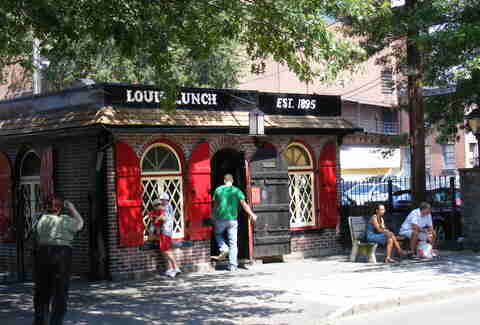 ESPN headquarters is more overrated than the SEC, and Louis' Lunch is the birthplace of the hamburger (although why it’s not called a Newhavener, you’ll have to ask them). If you don't believe us, just ask the Library of Congress. It recognizes LL as the inventor of said all-beef patty and the oldest continuously operating burger joint in the nation. 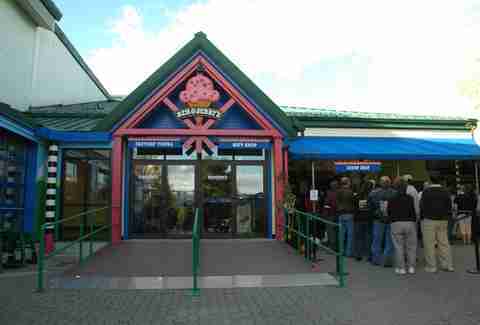 You know people love your beer when consumer demand forces you to expand your facilities TWICE in less than 20 years. Which is what the makers of your favorite 90 Minute IPA and Indian Brown Ale have done, with this location on The Avenue in one of America's best small beach towns. 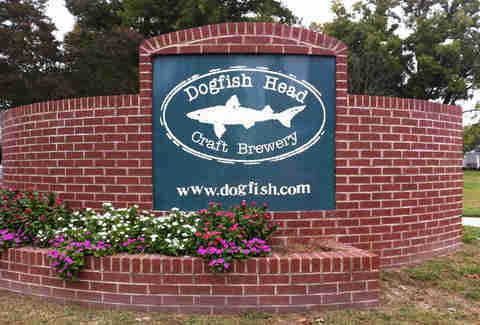 Not only does Dogfish serve up its famous beer, but also a full menu of suds-inspired food, live entertainment, and distilled rum, gin, and vodka. 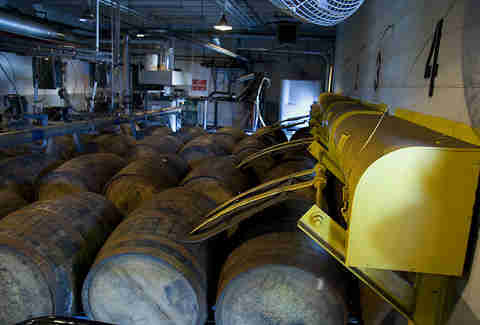 In fact, it does so much here now that the actual beer production had to be moved to nearby Milton, DE. Because federal law mandates that all people with children who live east of the Mississippi must visit this Central Florida fun factory at least once. Sure, Florida has thousands of miles of beaches and the insanity of Miami, but spending three hours in line with sweltering humidity, screaming children, and a melting mouse-ear ice cream bar for a three-minute ride really puts the “sunshine” in your “Sunshine State” experience. 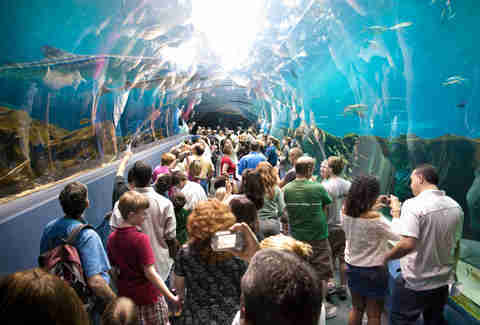 “Aquarium” is kind of a deceiving term here, as this Atlanta aqua land is really more like SeaWorld without the animal abuse. 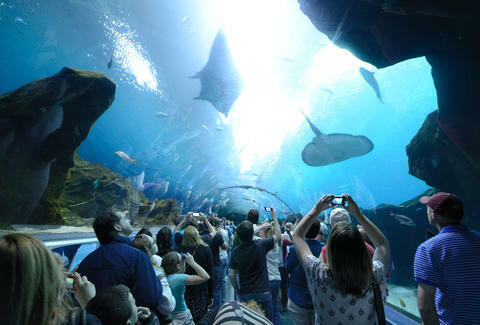 Here you can scuba dive with whale sharks and manta rays, play with otters and penguins, work alongside Beluga trainers, or just stare into the world’s largest indoor marine habitat. They’ll even let you spend the night if you want, just don’t expect the sea creatures to break out into a musical number. 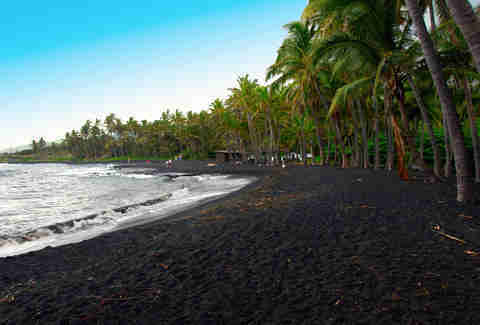 Perpetual volcanic activity isn’t exactly a selling point when you talk about living on the big island, unless, of course, you're talking about the dramatic black sand beaches on the southeastern Kau coast. Just don't try to take any of that black sand home in a bottle 'cause -- like trying to climb Hawaii’s other best tourist attraction, the Stairway to Heaven -- it's totally illegal. Sure, after finally landing on the actual moon, NASA said the name of this park was totally misleading, but changing all the signs to say “Craters That Look Nothing Like the Moon but are Still Totally Badass National Park” was going too far. So the name remains, as does this 400-square-mile preserve where you can walk on giant basaltic lava fields, hike through caves, and peer into the world’s deepest rift crack. To keep the stands packed after years upon years upon years upon years of losing baseball takes something special. 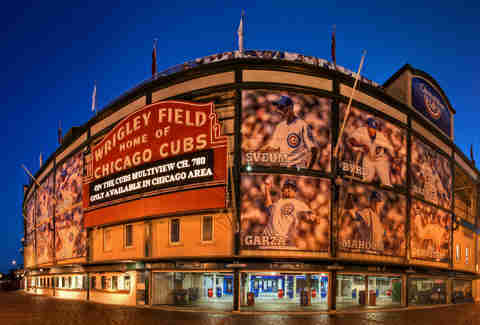 And the ivy-covered walls and throwback neighborhood-ballpark aesthetics of Wrigley are exactly that, where even long-suffering Cubs fans don’t seem to be suffering all that much when they’re knocking back Goose Islands in the bleachers and enjoying the best example today of baseball’s bygone glory days. Where does it rank among all 30 MLB stadiums, though? Find out, right here. 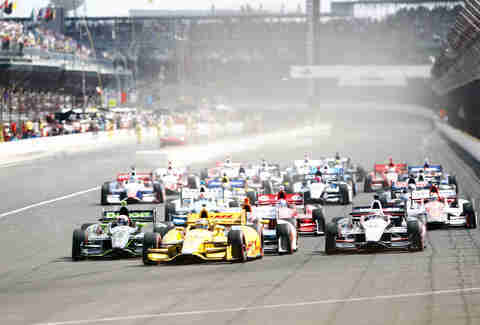 Kinda like how we only care about soccer once every four years with the World Cup, Americans more or less only notice IndyCar racing on Memorial Day weekend, when the best drivers in the world descend on Indianapolis for the Indy 500. But even if you can’t make it to the race -- which is also one of the best parties in America -- there’s still the Speedway Hall of Fame, a golf course, and, oh yeah, opportunities to drive a real Indy car on the actual Brickyard track. Whereas most Hollywood movies tend to cop out and use LA as the backdrop for pretty much everything (who knew there were cliffs in Miami Beach!? 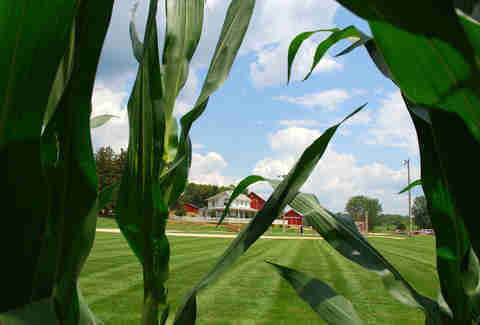 ), FOD producers went authentic and shot this '80s baseball classic on the Lansing family farm in Dyersville. You can still visit the farmhouse and baseball field, but dead baseball legends will, sadly, not come marching in from the surrounding cornfields. As you’ve probably used the expression “Get the heck outta Dodge” thousands of times and likely had no idea where it came from, well, here's your answer. 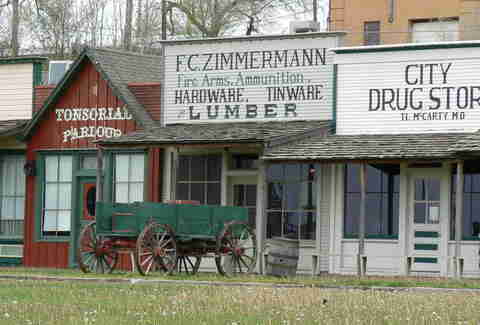 In Dodge City, you can step back into an era where middle-of-the-street gunfights were the norm, visit their burial spot at Boot Hill Cemetery (so named for men who died while still wearing their boots), or stroll the recently restored Front St, which was once home to the China Doll Brothel and Long Branch Saloon. The thing to remember about doing the Bourbon Trail: DO NOT DO IT ALL IN ONE DAY. That’s 10 distilleries, and even if you designate a driver, you can’t designate a hangover-er, so it’s best to explore Western Kentucky (and the distilleries of Jim Beam, Woodford Reserve, Maker's Mark, Wild Turkey, and more) in shifts, staying at the historic inns in between. Also, don’t forget to check out The Old Talbott Tavern -- the oldest bar and oldest restaurant in the Bluegrass State. 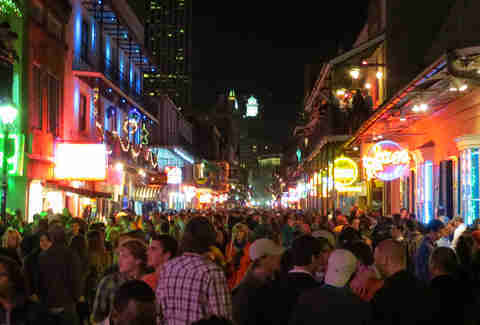 Not that Louisiana doesn’t have plenty of other great things to offer, like, uh, Shreveport, but if you say you’re going to this state, people assume you’re going to drink Hand Grenades, listen to jazz, eat the best food in the country, and then make some bad decisions. And even if you’d rather spend your New Orleans vacation NOT popping Advil, the architecture and history of the French Quarter are two of those few things in America that you won’t find anywhere else. The oldest national park east of the Mississippi sits just off the rocky shores of Down East Maine and boasts 47,000 acres of pristine New England beauty. Its main highlight is Cadillac Mountain (named after a French explorer, not the Escalade), which welcomes the sun to America every day as one of the most eastern spots in the country. The view from the mountain stretches out over Frenchman Bay and the Porcupine Islands, and provides some of the most dramatic scenery on the Eastern Seaboard. While Baltimore has a pretty cool boardwalk and a nifty retro baseball stadium, you know what it doesn’t have? 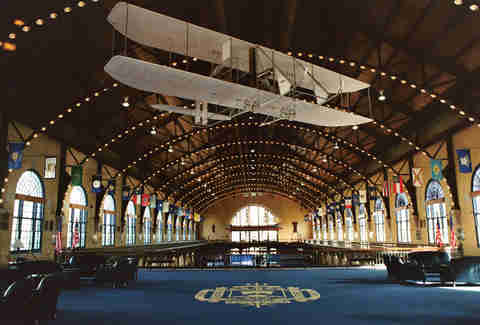 The US Naval Academy. Or the oldest bar in the state. Or, well, you get it. And since Edgar Allen Poe’s house is in a neighborhood that makes the Tell Tale Heart look like Sweet Valley High, the most unique and non-deadly place you can go in Maryland is historic Annapolis. Escape the throngs of loudmouthed Boston sports fans trying to convince you that Brady is innocent by immersing yourself in US history instead, as you walk the 2.5-mile Freedom Trail through the city. 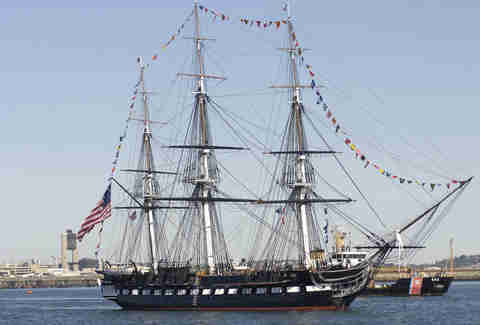 While top sites include the Boston Tea Party Museum, Paul Revere’s House, Bunker Hill, and Faneuil Hall, the highlight is America's oldest warship -- the three-masted, wood-hulled beast that beat not one but FIVE British Naval vessels in the War of 1812, earning it the name “Old Ironsides” and a permanent spot in Boston Harbor. Michigan might be the most underrated state in America when it comes to natural beauty, and nowhere is that more obvious than during a summer trip to this spot smack between the Upper and Lower Peninsulas. The entire island is a national historic landmark and boasts the coolest hotel in the state -- the Victorian Grand -- as well as famous fudge and Mackinac Island State Park. Also, there are almost no cars on the island, and the preferred mode of transportation is horse-drawn carriage. With a significant tip of the hat to the Mall of America and the Spam Museum, the most unusual, interesting thing in the Land of 10,000 Lakes doesn’t involve water at all. 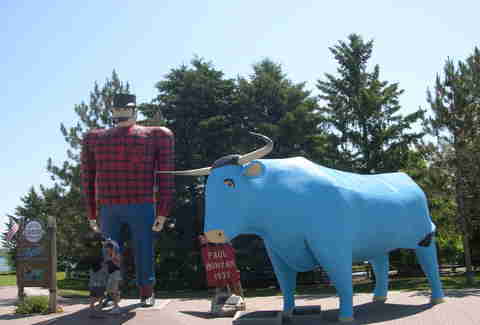 But rather a must-see, 18ft, 2.5-ton statue of Paul Bunyon flanked by his trusty blue ox Babe, that it should be noted, rocks a whopping 14ft horn span. And once you’ve seen it, well, you’re in Bemidji, so really the world’s your oyster. 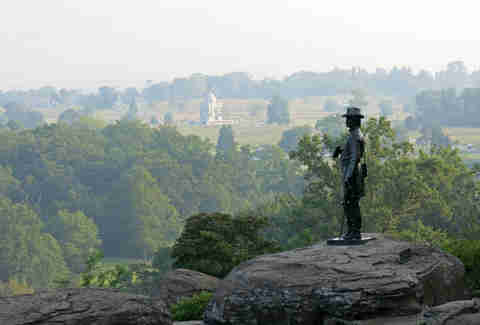 While Gettysburg gets all the love from Yankees, perhaps the greatest War-Between-the-States battle site sits in Western Mississippi, where this 47-day siege on Vicksburg and the associated campaign claimed more than 20,000 total casualties and resulted in the Union taking control of the Mississippi River. Today, you can visit 1,325 historic monuments, 20 miles of trenches, and even the restored USS Cairo, which was the first US ship downed by a torpedo when it was sunk in 1862. 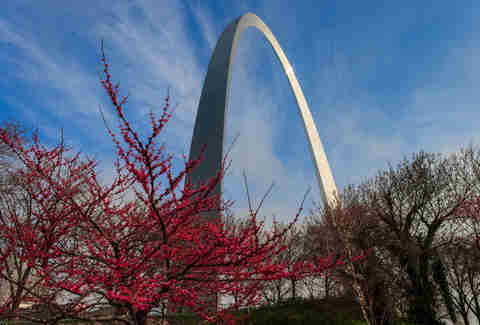 Since St. Louis was considered the Gateway to the West, this arch was constructed in the 1960s to give the St. Louis skyline an iconic monument. Today you can take trams all the way to the top of the tallest man-made monument in the Western Hemisphere and enjoy a panoramic view of the city and the Mississippi River. Although once you're back at the bottom, check out the old courthouse and the rest of the Jefferson Western Expansion Memorial. 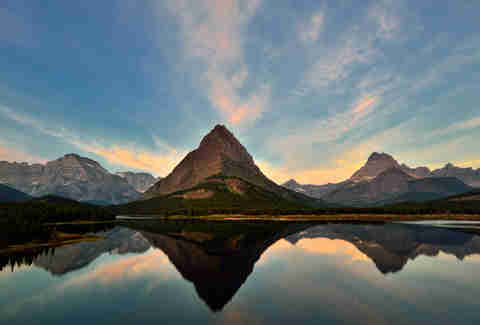 Think of Glacier as the anti-Bieber: while both the US and Canada keep trying to stick the other one with the Biebs, they both want to lay claim to this national park whose 16,000 square miles of mountains, rivers, and general untamed spectacular wilderness lie both in the States and north of the border. 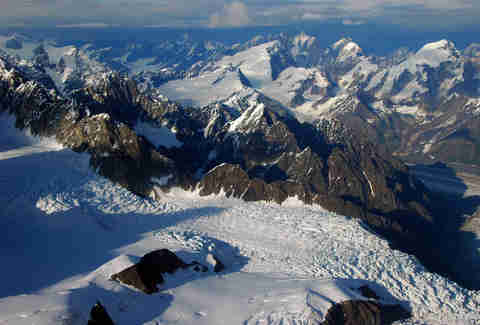 The mountain range here, created by glacier movement, has been called the “Crown of the Continent” and attracts nearly two million visitors every year. 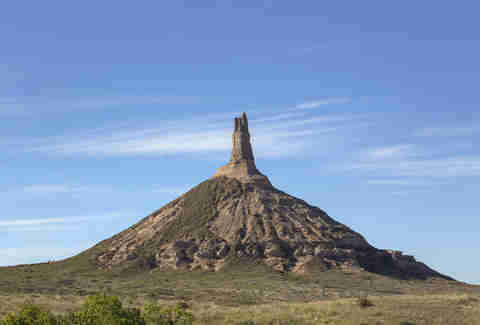 As the bluffs on the southern edge of the North Platte River Valley eroded like Nebraska’s football tradition, this 325ft spire made of rock between 23-34 million years old began to tower above the plains. 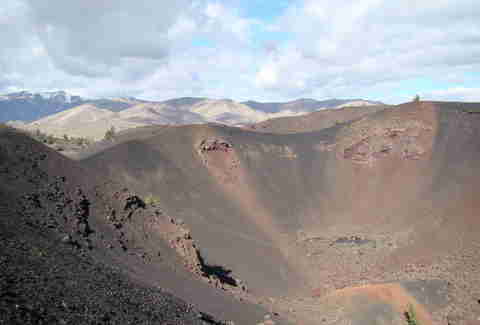 This natural struture served as a landmark for travelers on the Mormon, California, and Oregon Trails and was designated a National Historic Site in 1956. It is commemorated on the back of the state’s official quarter. Without the Strip, what happens in Vegas would stay in Vegas because nobody would really want to hear about it. This 4.2-mile stretch of South Las Vegas Blvd is home to 15 of the 25 largest hotels in the world, two of the best pool parties, every gourmet restaurant you can name, and at least one or two fairly attractive women. 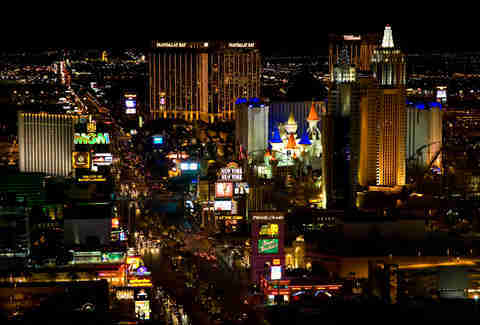 And despite not technically being IN the city of Las Vegas, “the Strip” has become America’s symbol of lost inhibitions, limitless parties, and questionable decisions. 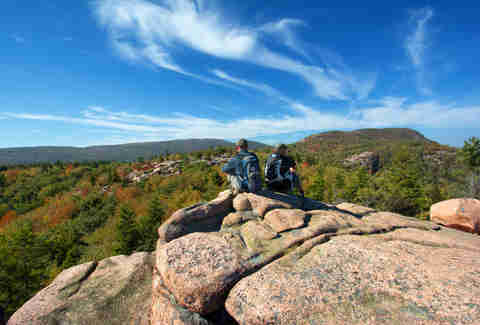 The highest point in New England is a lot more than just a tall mountain. It’s a tall mountain with weather so volatile it makes your worst ex look like a bastion of Zen. Not only did its summit hold the Earth's record for fastest wind gust ever recorded (231mph!) for 76 years, but annual temps can fluctuate between a downright pleasant 72 degrees and, well, a staggering -102 degrees with the wind chill. There’s a cog railroad to take tourists to the summit (if you don't want to drive), and hiking expeditions are easy to come by. 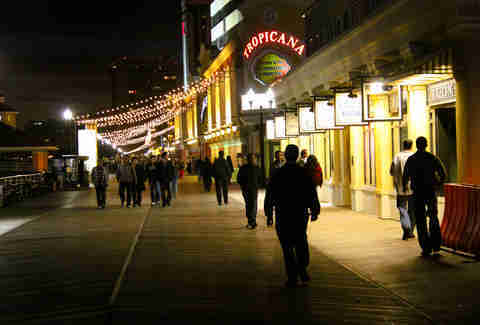 Aside from being the inspiration for Monopoly and longtime-home to the Miss America Pageant, the boardwalk in AC is what Americans picture when they think about summers on the Jersey Shore. At least they did before they ever heard of The Situation. Despite the hair gel and fist pumping rep the Shore’s gotten, AC still remains one of America’s great gambling destinations and the boardwalk was the first of its kind in America. 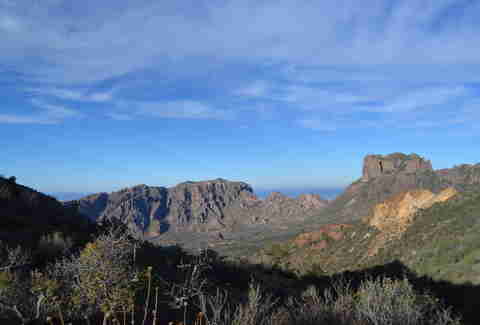 Hard to believe it, but inland New Mexico was a sea 250 million years ago, full of marine life that created living coral reefs. Which made for spectacular scuba diving then and, after 250 million years of limestone erosion, some pretty badass caves now. 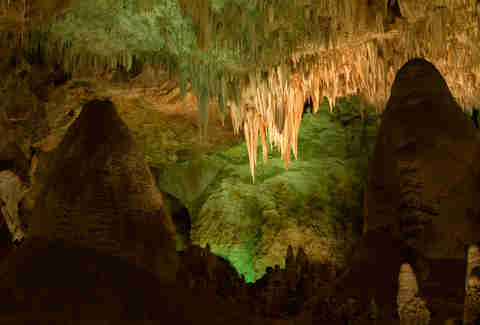 This spot in the Guadalupe Mountains has 119 known caves that can be toured, some filled with trees, water, wildlife, and even birds. 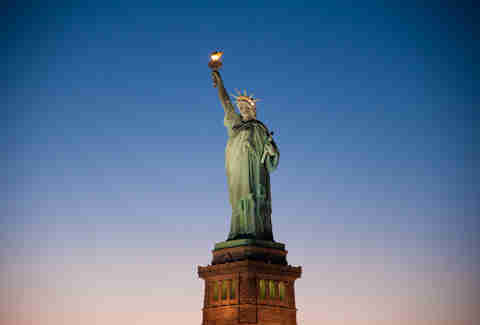 No big surprises here, but in a city that’s one, giant tourist attraction, nothing keeps ‘em coming in droves like the big green lady in the middle of New York Harbor. In addition to being our nation’s symbol of freedom and opportunity, it is also the single greatest thing the French ever did that didn’t involve fries or toast. Wanna know what she looks like from behind? Well, here you go. 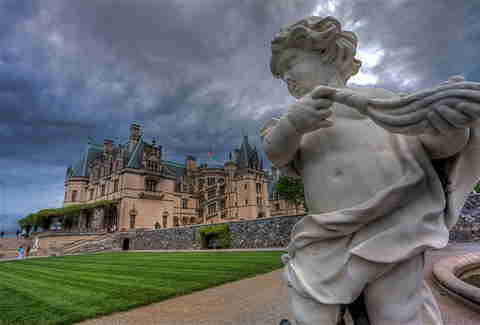 A trip to the mountains outside of Asheville and this historic Vanderbilt family estate will have you forgetting you’re in the same state as the NASCAR Hall of Fame. 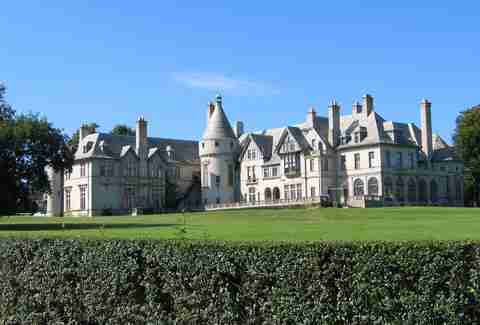 The 250-room mansion is one of America’s great castles and is completely self-sustaining, an early tribute to the “green” building that also features expansive gardens and its own winery. 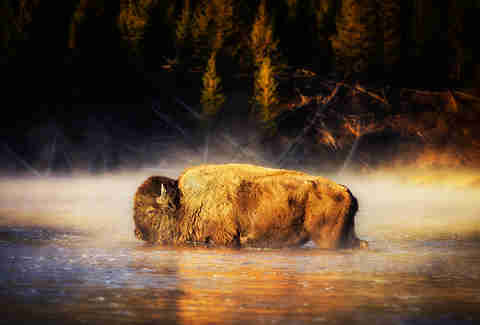 At one time, Teddy owned two ranches in the Badlands of North Dakota and would go there to live the “strenuous life” among wild horses, bighorn sheep, golden eagles, and wild turkeys. And when he died, the land and much of its surroundings became this 110-square-mile park where you can hike and camp on the same wilderness that inspired Roosevelt to start America’s conservation movement. 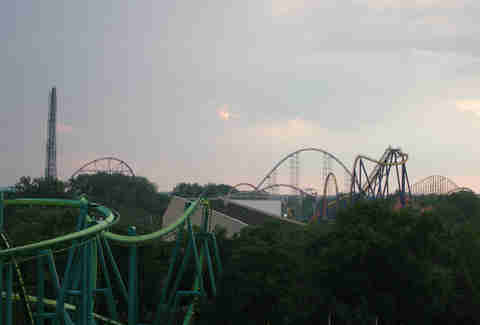 Though we do love to take jabs at Ohio, it’s hard to hate on Cedar Point, the second-oldest amusement park in America. Very much living up to its nickname, “The Roller Coaster Capital of the World,” CP boasts 16 coasters -- including four that stand over 200ft tall -- and a world-record 72 rides total. It's been drawing visitors to Ohio since 1870, when Anaheim was still orange groves and Orlando was nothing but swampland. If playing The Oregon Trail, you got you nostalgic for the Old West but you never wanted to deal with the dysentery, you can get the fully immersive experience in air-conditioned comfort here. The National Cowboy Museum showcases more than 2,000 works of art and photographs from the time, and it offers the chance to wander through a model frontier town and visit not one, but THREE, Western Halls of Fame devoted to actors, rodeo riders, and great Westerners. 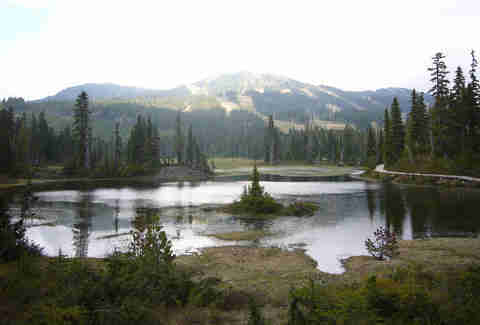 Though the Beaver State is 48% forest, its only national park is a 286-square-mile swath of land whose main attraction is the deepest lake in the United States. 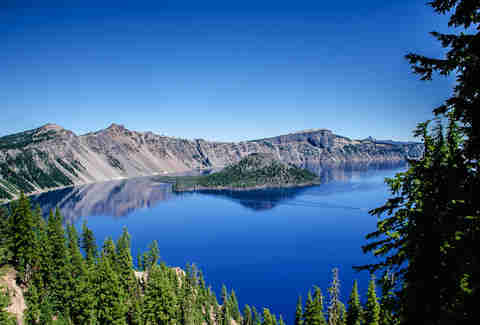 The six-mile-wide body of water is 1,148ft deep and was formed by the collapse of Mount Mazama. 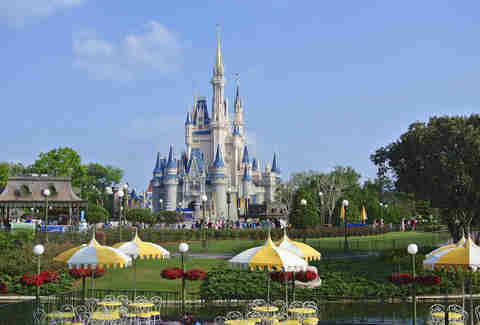 In fact, a remaining cone of its cinder makes up Wizard Island in the middle. And no, do not go around town asking people where the Gettysburg address is. 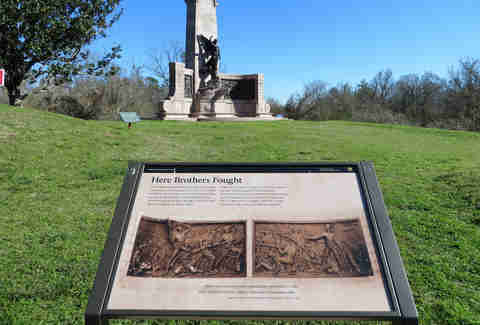 In case you did a complete brain dump after 10th grade history, the Address was a speech Lincoln gave on this historic Civil War battlefield where the war turned in July 1863. Today, you can visit the Soldiers National Cemetery (where many Union soldiers are buried) and follow park rangers as they guide you through the famous battle. Before the advent of air conditioning and cheap land in Florida, the one-percenters of the Gilded Age made their glorious homes on the coast of Rhode Island, set on cliffs against the backdrop of the Atlantic Ocean; mansions like the Vanderbilts’ Breakers, the Marble House, Rosecliff (which was featured in The Great Gatsby), and the ultra-Victorian Chateau-sur-Mer. And if you want to stay in one, the coolest hotel in Rhode Island -- The Chanler at Cliff Walk -- will gladly put you up for a night. Conde Nast readers don’t rank your city No. 1 in America four times because they love low-lying marshlands. 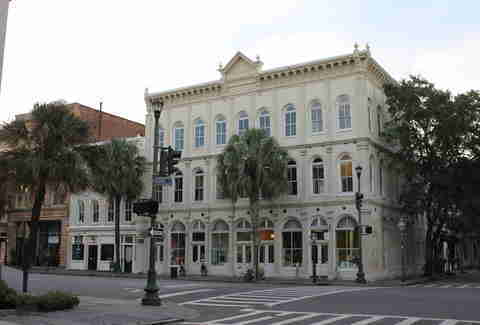 They do it because they love the historically preserved Downtown, where you can take carriage tours through streets lined with 19th-century southern architecture, enjoy a burgeoning food scene, and soak in more history than in any other city its size. 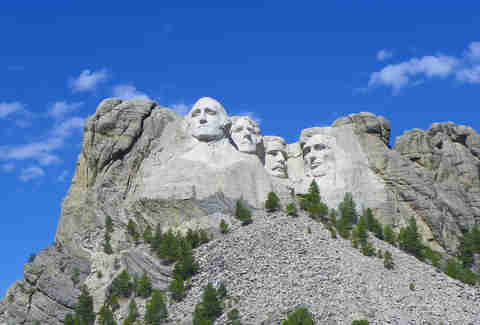 Even though the Lakota Sioux tribe called this mountain “Six Grandfathers,” it only rocks the faces of four dudes -- Abe Lincoln, Teddy Roosevelt, George Washington, and Thomas Jefferson. But those four, 60ft carvings in the side of this granite mountain in South Dakota’s Black Hills don’t need any company as they’re already visited by over two million people a year. Many of whom are weirdly disappointed when they arrive. If America has had only one king, then Graceland marks both the beginning and the end of our country’s historic castles tour. This longtime home of Elvis Presley is the third-most visited private home in America and a bucket-list destination for any Elvis fan. 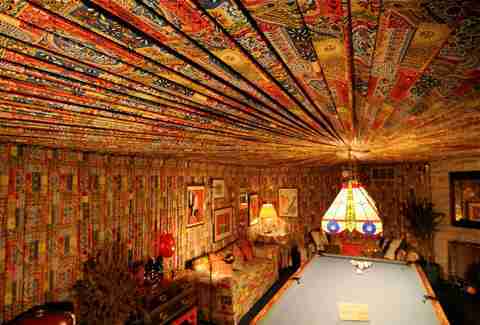 But unlike the grand interiors of castles in other countries, this spot is filled with leopard print, shag carpeting, and bright red fur. 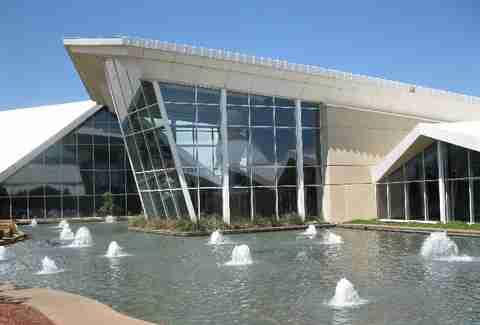 Texas is so big, its tourist attractions are bigger than some states. 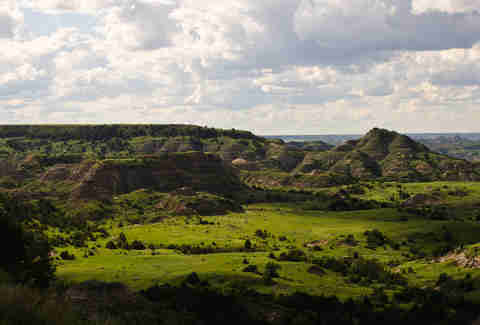 Seriously, the 800,000-plus acres that make up this park are bigger than Rhode Island. In addition to being an impressively sprawling desert scape, it has also been certified as having the darkest skies in the lower 48, and may be the best place in the country for stargazing. While we have to give major props to the Mormons and their construction of Temple Square and the Tabernacle, even they’d tip their hat to whomever created Zion at the intersection of the Colorado Plateau, the Mojave Desert, and Great Basin. 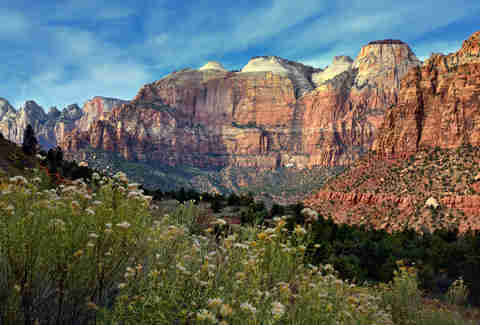 Here you can ride into the half-mile-deep Zion Canyon, carved into the red rocks by the north fork of the Virgin River. Unlike laws, sausages, and adult films, those who enjoy ice cream should most DEFINITELY watch it being made. The B&J's corporate home/factory gives 30-minute tours and features a scoop room where you can try flavors not available at your grocery store. Kinda like the Wonka factory, sans the creepy chocolate riverboat ride. If you ever saw Tony 'n' Tina’s wedding and were like, "Man, I cannot get enough of this live-actor interaction," well, then you probably want to plan your next vacation here. 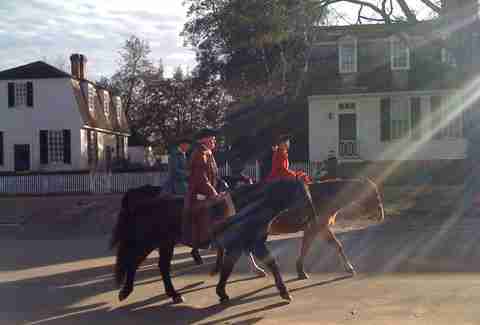 At the Colonial 'Burg, people in 18th-century garb (who get, like, fired for chewing gum) keep it as real as possible so that you can feel like you stepped into America at the time of the Revolution. 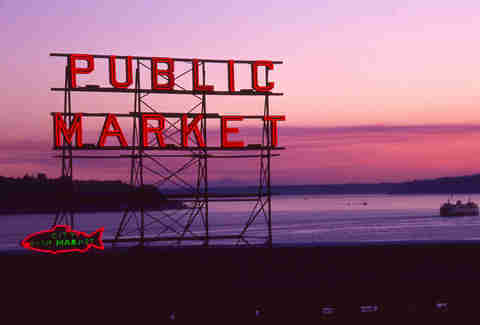 Even though the original Starbucks is two blocks away, and you’re TOTALLY going to stop in there first and see if it looks like... a Starbucks, this open-air market is like a farmers market on steroids -- and a must-see in Seattle. Originally founded as a place for farmers to conveniently sell produce, it somehow grew into a hotspot where tourists flock and mongers throw fish for fun. It even boasts its own brewery downstairs. There is a lot of natural beauty in West Virginia. And a lot of couch burning. 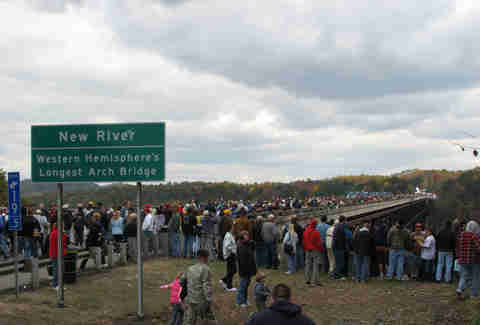 But neither are quite the spectacle that you’ll see every October 18th at Bridge Day, an annual event to commemorate the opening of the New River Gorge Bridge. More than 100,000 people turn out to watch folks base and bungee jump clean off the Western Hemisphere's longest arch bridge. Calling this a house on a rock is kinda like calling the Grand Canyon a hole in the desert. 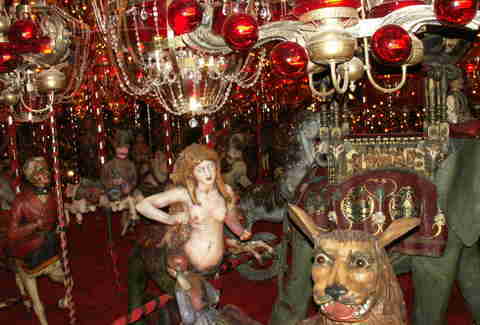 This sprawling estate, built by visionary Alex Jordan Jr., is indeed built atop a chimney of rock, but the “house” includes, among other things, the world's largest carousel, battling sea monsters, a full-sized model of the “Streets of Yesteryear,” a sculpture pavilion, and a room that extends 140ft out, unsupported, 15 stories in the air. Oh yeah, and the associated hotel has a 45ft submarine. So, there's that. Not to be confused with the picnic-basket-stealing-bear-infested Jellystone Park, this Wyoming landmark has 2.2 million acres of wilderness including its own Grand Canyon. But perhaps its most famous attraction is Old Faithful, a natural geyser that shoots thousands of gallons of boiling water 100-200ft in the air every 91 minutes.